Argentina have been unconvincing in Russia but Jorge Samapoli’s side have somehow managed to creep through to the round of 16 and will face France on June 30th. Lionel Messi opened the scoring in the first half and the Barcelona star was seen giving his teammates a rousing team talk at the break. Matchwinner Marcus Rojo revealed that the multiple Ballon d’Or winner told the players to “calm down” and “not be stressed” and his lecture clearly did the trick, even if they did ship a goal. The Albiceleste finished second in Group D after collecting four points from a possible nine. Their victory over Nigeria left the Super Eagles a point behind in the standings but they’ve been dealt a tough draw in the knock-out round. Euro 2016-finalists France await in the last 16 and it should be a superb 90 minutes of football in Kazan. Argentina’s defence has proved problematic in Russia and they are yet to keep a clean sheet at the tournament. They shipped five goals in their opening three matches and they will need to tighten up against Les Bleus. 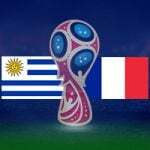 France have plenty of firepower and will look to exploit Argentina’s defensive vulnerabilities. Speculation surrounds the future of Jorge Sampaoli although he is likely to remain in charge for the remainder of the tournament. Argentina reached the final of the 2014 World Cup and will be looking to replicate that success. Bet365 have priced them up at 3/1 to reach the semi-finals whilst William Hill are offering 12/5 on them beating France in 90 minutes. Group D winners Croatia easily booked their place in the round of 16 and have picked up maximum points in Russia. Zlatko Dalic’s side have beaten Nigeria, Argentina and Iceland and will fancy their chances against Denmark in the knock-out round. 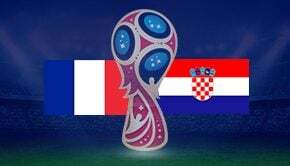 Iceland were the better team for the majority of their Group D encounter on June 26th but Ivan Perisic’s second half strike sealed a third consecutive victory for Croatia and 888sport make them 9/11 to beat the Danes and seal their place in the quarter-finals. Paddy Power’s 11/4 on Croatia to reach the semi-finals will also be of interest to many punters.